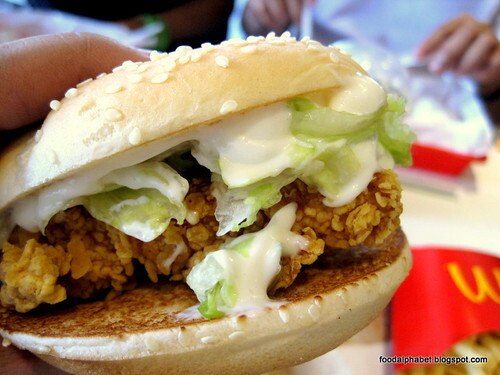 The Food Alphabet and More: McSpicy is here... are you up for it? What surprised me when I opened the box, is that McSpicy is indeed big in size, I was expecting the chicken patty to be smaller than from the other fast food chain since they priced very reasonably at only P80.00 ala carte, it is indeed a very good deal. Now the taste, I noticed that their mayonnaise serving was quite hefty, maybe it's to lessen the impact of the spiciness but we all have to watch our calories, wouldn't you agree? Now the first bite, hmmm crispy, juicy, very mayonnaisy (if that is even a word), bite after bite, it gave a satisfying feeling of enjoying a chicken burger treat. Down to my last bite, hmmm am I missing something? Ah the spiciness! I was underwhelmed that I finished my whole McSpicy, and never did taste its spiciness, maybe my tolerance for spiciness was high? Maybe it was their way of making it more accessible for people to try and that some might complain that it's too spicy. For my part I believe that if you put a spicy tag into any dish or burger for that matter, you would be expecting what is written on it "Spicy", and I would think people ordering would be ready for it. 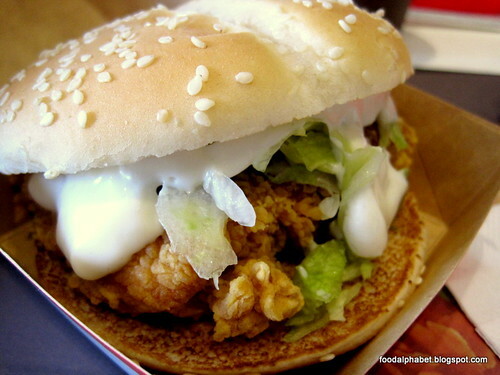 But saddened by this experience, I am still willing to give McSpicy another try, maybe what I got was the meatier one. 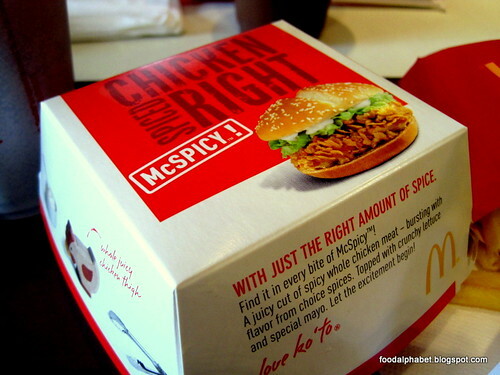 So have a bite of McSpicy and tell me what you think of it? And if ever "Mabitin ka", you can always go to the other chicken place.